Interior rooms, such as bedrooms and bathrooms, that have air ventilation ducts providing heated or cooled air into the room need to have a way for that air to get back to the return air duct (typically where the air filters are installed). Without a pathway for that air to get back to the air circulation system when the doors are closed, the room will have positive pressure, which will affect the supply air volume and result in an inefficient heating and cooling in the room. 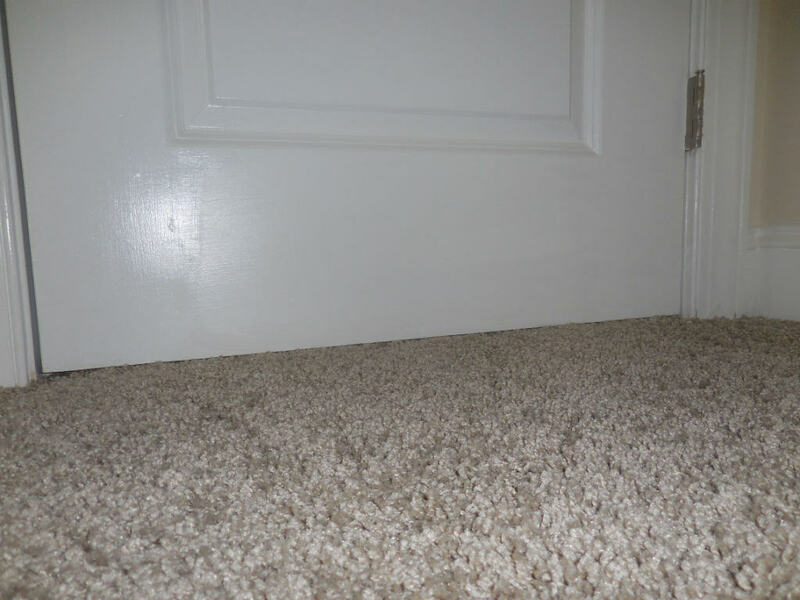 In this example, the door didn’t have any clearance above the carpet and there was no return air duct in the room. In the inspection report, I directed an evaluation and repair by a license general contractor. Anyone who knows how to either remove the carpet, or cut off a portion of the bottom of the door, could make the repair.